Numbers communicate so much, yet they are often left out of communication therapy. Now stroke survivors can practice understanding, saying, and typing numbers at home to improve these essential life skills. 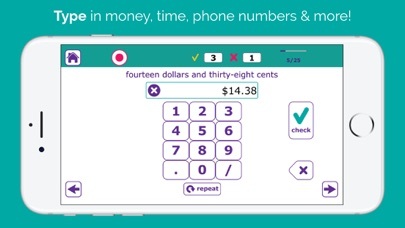 ***Try for FREE with Number Therapy Lite*** “I really like it! The money and phone numbers – that’s what I need to practice.” – Sarah, stroke survivor with aphasia Age, dates, phone numbers, addresses, money, time, measurements, fractions, weight, years – numbers are everywhere and so important. Be more independent with communication with stronger number communication skills. Would you be able to understand, write down, and tell someone this phone message? “Your appointment is at 3:15 p.m. on August 3rd, 2015 at 1650 18th Avenue. Bring $5. Please call back to confirm at 785-5662.” Work on all these number skills and more with the evidence-based Number Therapy app! 30 categories of numbers including: *Single Digits *Double Digits *Triple Digits *Four Digits *Time *Money *Phone Numbers (add your own!) *Ordinals *Fractions Thousands of unique exercises you can use anywhere. Work at your own pace to practice the skills that matter to you. 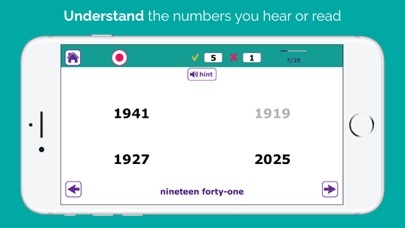 Great for cognitive disorders such as impaired working memory or auditory memory, too! Listen to long numbers and type them in - it's harder than it sounds. Train the ear to listen with this app. This app has the same highly customizable, clean, intuitive interface you’ve come to love in Tactus Therapy apps. Developed in conjunction with people with aphasia, this app is designed to help you get the intensity of practice you need in a way that is easy to use. Number Therapy also has a feature to give you recommendations for which level and settings you should use based on your score. See how easy it is to make progress when you're working at the right level for you! "Number Therapy is a game changer for me. I love it." 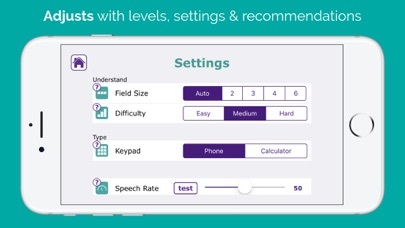 - Trish, stroke survivor with aphasia Speech-Language Pathologists: use this app to make the communication of numbers a part of your therapy plan for people with aphasia or other disorders. Three unique activities address auditory and reading comprehension, verbal expression, and written expression. Your clients can use the built-in hints, cues, and audio recording to be successful, then e-mail you their results in a professional report so you can track their progress over time. 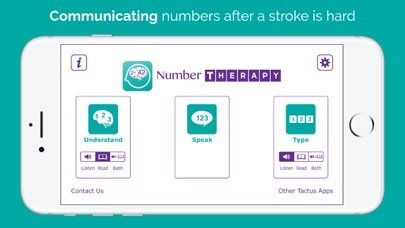 Ideal for use in the clinic and at home, add Number Therapy to your therapy app collection! *Please note: this app does NOT address math skills or equations. It focuses on the communication of numbers, not calculations. More by Tactus Therapy Solutions Ltd.